How to do we find the best cleaning companies in your local area? In order to become recognised as a ‘Trusted Cleaner’ every business must pass our comprehensive verification process (it’s not possible for a business to simply ‘buy’ approved status). We take pride in only recommending the best businesses and do everything possible (including rejecting sub-standard companies) to maintain the integrity and quality of our service. We feature up to five recommended businesses on our website in each location. Businesses on our exclusive short-list have demonstrated a commitment to excellence, and represent the leading cleaning companies in your local area. Our independent team of researchers conducts extensive research to bring you the best businesses, so you know you are dealing with a business you can trust. This initial verification process takes over 5 hours for each location, and involves sorting through up 200 different companies. Only the best businesses make it on to our short-list. 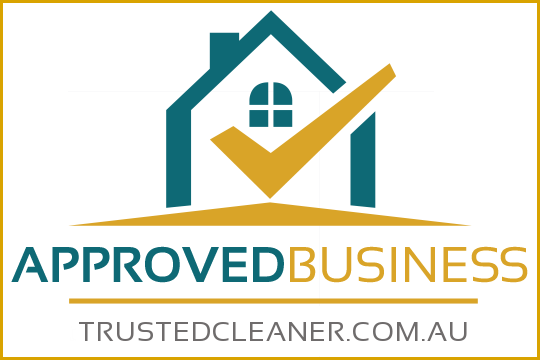 Our Carpet Cleaning in Perth page is a good example. Businesses who make it on to our short-list of the top cleaning companies in a particular location can choose become fully verified. If you see a business displaying the Trusted Cleaner Verified Business Seal of Approval you know they are a highly skilled & experienced business who you can trust. Monitor the companies performance on an ongoing basis. These businesses are highlighted on our website and can be found above the recommended businesses. There are lots of cleaning companies out there, however not all of them make our grade. Our first task is to conduct extensive online and offline research to create a short-list of the best local companies in every industry / location. Our team use their experience, and a range of tools to compile this list. We do ‘mystery shopping’, check reviews & forums for feedback, conduct internet research and ask for direct customer feedback. We also check their ABN is valid and verify membership of professional associations. Recommended companies, whilst not fully verified, are businesses you can trust. Businesses also have to agree to adhere to our customer charter, and be committed to ensuring all dealings are professional, fair, up-front and honest. We conduct an interview with the owner to make sure they understand our ethos / standards and are committed to providing a great customer experience at all times. Our team conduct mystery shopping exercises on a regular basis and may contact customers to monitor feedback. Whilst we do everything possible to vet & verify every business (using the process outlined above), it is not possible to provide a guarantee on their product or service. Therefore we cannot be responsible for the work carried out by these businesses and accept no liability from any loss or injury caused as a result of using their services. We recommend conducting your own research and due diligence before engaging any contractor. Having said that we do take complaints very seriously, and will take immediate action to revoke a businesses membership if they are found in be in breach of our terms. Please contact us if you would like to report an issue. We also provide a meditation service to try and resolve any issues between you and the business owner. We do all this to make sure we only represent the best of the best. We want you to save time, money and avoid the normal hassles and frustrations that come with finding someone to do a great job at a fair price.